We are often asked for a list of the best wine books by our readers. This is a major challenge because wine is such a broad topic. Wine books run the gamut from tomes about the technical details of winemaking to dramatic novels about love and intrigue in wine country. 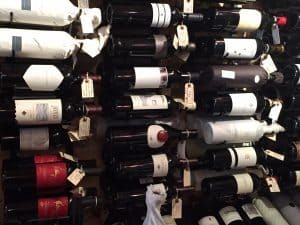 Orienting yourself in the vast universe of wine books is not always easy, especially for those who would like to know more but do not know where to start. To help you get your bearings, we curated a list of the best 10 wine books in a number of specific categories. This is a selection of the wine books that have fascinated us, taught us something new or simply amused us. We hope this list helps you discover a book that will open up another avenue on your wine journey. Enjoy! This section includes scholarly wine books that have the aim to guide novices into the wine world and help them comprehend some of the basics. These are the best wine books if you are just starting to get serious about wine. These are also great wine books for anyone who has been studying wine for years. That's part of the beauty of wine. There is always more to learn about and explore. Easy to read, funny book with all the sort of information you need to learn about wine and develop your very own palate, without being influenced too much by critics or people who think to know! “What a juicy look at wine and wine tasting.” Amazon review. Anyone who loves wine and traveling (and probably adores the two things together) will find inspiration in this list. Grab a few of these wine travel books and create a bucket list of the wine destinations that speak to you. 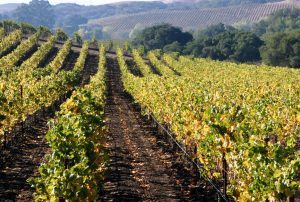 You will be prepared with tips on the best wineries to visit, where to stay and how to get the most out of visits to local wine tasting rooms. “The best collaboration of two Brits from the time of Lennon and McCartney.” as the Washington Post described it, this book gives a geographic perspective to the wine world with specific cartography. Arguably indispensable to all wine enthusiasts. Dating back to 1990, the book reports the adventures of Kermit Lynch during his wine trips in France. A book for wine novices, Francophiles and French wines lovers. “Kermit Lynch's colorful portraits of some idiosyncratic vintners, and his commentaries on their wines, make for some of the finest reading since Joseph Wechsberg ate and drank his way through France in his book Blue Trout and Black Truffles.” Robert M. Parker, Jr.
Light and flavorsome as a good rosé should be, this is an autobiographical travel journal through the south of France, enjoying the company of good friends, delicious food, and wine. If you like to hear about wine from the experts, here are the best wine books by famous wine authors and experts. You will find a good selection of wine critics editorial successes. These books will give you a specialized overview from a professional angle. This category includes a series of more technical titles with a particular sociological, economic, or historical approach. These are some of the best wine books for passionate wine buffs and oenophiles! The remarkable story of how some French winemakers had to face the challenges of World War II to defend their precious nectar. Amusing anecdotes for wine and history buffs.